A block of rooms have been reserved at the gorgeous and chic Crescent Hotel, a boutique hotel in the Union Square area. Queen rooms are available for a discounted rate of $119 a night. You must mention the Alpen/Coughlin Wedding and book by August 24th in order to receive the rate, so book early! 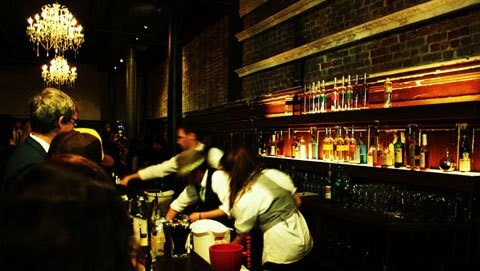 We will also be hanging out Friday night at their ever so beautiful and historic bar The Burritt Room, for amazingly handcrafted and delicious cocktails. Come hang out!! The Crescent Hotel is located in the heart of Union Square on the corner of Stockton and Sutter Streets one block North of Union Square, one of the most historic and beloved places in San Francisco and which is among the most notable urban spaces in the world. Its history reflects that of San Francisco and each change it has undergone mirrors the greater shifts in the history of our country. Union Square is the most notable of the public spaces in the City of San Francisco. Bounded by Market, Kearny, Bush and Taylor Streets, Union Square is a walkable area which boasts many great restaurants, live theatre, a wonderful concentration of fine art galleries, luxurious salons and day spas. Union Square Park is the heart of this vibrant community and just minutes away from many popular nearby attractions such as Yerba Buena Gardens and SFMOMA to the south and Chinatown to the north. Union Square is the City's most popular visitor shopping destination with one of the highest concentrations of luxury retail shopping in the world, offering the convenience of mall shopping in a historic open air setting. Most stores are open until 8 p.m. and some even later. Union Square is the second most popular dining destination and while it has its share of nightlife, remains a safe and vibrant area to walk around at night.